With all the planning, organizing and coordinating involved, large family trips don’t always feel like the vacations they’re meant to be. But if you choose the right destination, your next family vacation can be everything you dream of — and more. As great as family time is, you’ll really appreciate having some kids-free, stress-free time during your vacation. With a Kids Program to entertain your children during the day, you’ll be able to get some much-needed relaxation time — without having to worry about your little ones. Your kids are sure to have an unforgettable vacation at our Kids Program. After all, there’s a whole team dedicated to keeping them safe and showing them an amazing time. And the best part? While your kids are having fun and making memories, you can do whatever your heart desires, not what they want. It’s a win-win for everyone involved! You get time to yourself, your kids get to do all sorts of fun things, and we get to explore the mountain outdoors with all the youngsters together. Your teenager’s idea of fun isn’t the same as your 5-year-old’s, and neither of them wants to do the activities on your itinerary. Take your family somewhere there are activities to do together, as well as on your own. There should be kid-specific activities, things your teenager will want to do, activities for the adults, as well as fun for the whole family. Learn more about the amazing activities we offer at our Kids and Teens Programs. Family vacations can be a balancing act, especially when you have a large family. You want the kids (and everyone else) to have fun, but you also want chances for the adults to relax and unwind — this is a vacation after all. Your family’s summer vacation destination should offer plenty of opportunities for adult-only time. Things like spa treatments, hiking, horseback riding, yoga, and fly fishing are best enjoyed in the company of adults (they’re less likely to scare the fish away!). By giving yourself time to unwind and enjoy yourself sans-kids, you’ll be all the more appreciative when you come back together at dinnertime. You want your family to go home closer than ever and cherish the memories of this vacation for years to come. When you go somewhere family-focused for summer vacation, that’s exactly what can happen. Go somewhere that offers a healthy balance of family time and adventure time, with plenty of family-friendly activities and opportunities for family bonding. Here at C Lazy U Ranch, there are lots of ways to bond with your family, including family horseback rides, guided hikes, a ropes course and the chance for your kids to catch their first fish. The perfect summer family vacation has the right balance of relaxation, adventure, and family fun. 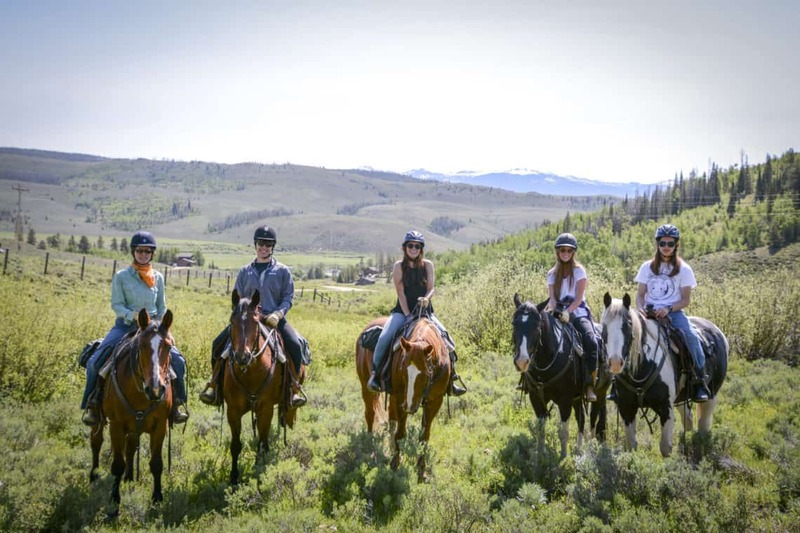 With tons of adventurous activities and plenty of opportunities for family bonding, C Lazy U Ranch is the perfect destination for summer vacations — especially for large families. There’s truly something for every member of the family, and much, much more. With comfortable family-style cabins, food that even the pickiest children can’t resist and our famed Kids Program, you’ve got yourself a family vacation spot that you’ll keep coming back to for years to come.